Upfields Plumbing and Heating Contractors have carried out work for numerous National House Builders such as Persimmon Homes, Wimpey Homes, Redrow Homes, Croudace Homes, Bloor Homes, Matthew Homes, Charles Church, Martin Grant Homes, Apollo Group and many other nationally known corporations for the supply and installation of plumbing, heating and renewable energy systems. 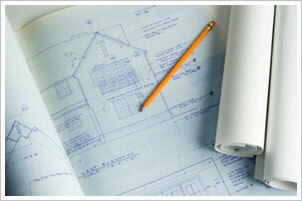 We provide the same service to regional builders e.g. Millwood Designer Homes, Broadview Builders, Marfleet Construction and James Homes. Upfields Plumbing and Heating are employed as a sub contractor by Local Authorities and Housing Associations, such as Eastbourne Homes, Wealden District Council, Anchor Staying Put and Lewes District Council to carry out works including gas service, maintenance and response contracts, heating programme works and general maintenance. We are also involved in Decent Homes projects in the area. In our Eastbourne showroom we have a large range of kitchens and bathrooms on display. We are Sottini agents and supply Alno Kitchens. Our friendly and well qualified staff can advise you on all aspects of kitchen and bathroom design and fitting, based on our many years of experience.